The 2019 Chevrolet Blazer is an SUV built to inspire confidence with a range of convenient features and options. This is a Chevrolet SUV you know will get you from place to place for years to come, no matter what you put it through. 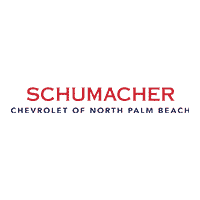 You can get a first-hand look at the Blazer right here at Schumacher Chevrolet. Stop by our store and speak to a member of the sales team for a test drive through Lake Park.